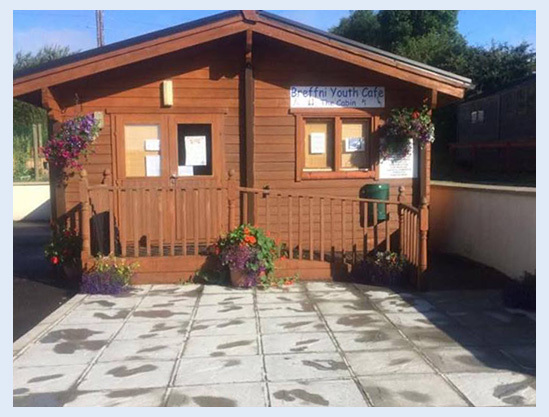 Breffni Youth Cafe provides a fun, safe and supportive place for young people creating a respectful, inclusive and equal environment for all involved. The purpose of our project is to promote youth activities and enhance their lives thus releasing their inner potential. We offer a safe place for young people to avail of Internet & Email, Play Station, Music, DJ-ing Equipment, Pool Table, Games, Books, hand oug with their peers and much more! Professional Youth Workers are on-hand to offer support and information and to facilitate activities and events with the young people. New Members are always welcome to come along to Breffni Youth Café. Homework Groups runs 5 days a week. This group is for young people aged 7-12yrs of age, here the young people are welcomed with a warm cooked snack as well as supported in the completion of their homework and enjoying free time with their friends. There is a school bus in operation which drops off here at the centre. Cost is €4 per group or €15 for the week. For further information please call us on 0719622566. Limited spaces and booking is essential. Drop in group for the 13+years of age is here Monday, Tuesday and Wednesday evening from 5.30-7pm. New members are always welcome to come along and chill out in our purpose built space and use the many facilities that we have on offer. During the year Breffni Youth Cafe gets involved in various Awareness Campaigns and special interest projects which include various different activities such as Arts & Crafts, Drama, Cookery and much much more. Keep an eye out for our update on upcoming events. If you are interested in seeing a particular programme/activity ran within our Youth Cafe please don’t hesitate to contact us, we welcome all your suggestions and feedback. Our email is funforyouthincarrick@gmail.com. Take these twelve basic steps to lovingly care for yourself. Click on the image below..
We have lots of events and activities planned for 2018 at Breffni Youth Café. For a quick look at what we have in store, click the image below (PDF).